Kaid Ashton is an artist, teacher, and marathoner. And now he’s a member of Team Canuck Place. His paintings and artwork has been featured around the world, used to bring attention to poverty, women’s and worker’s right, and environmental issues, inspired by the students he taught in locales such as Manila, Bangladesh, and Sri Lanka. 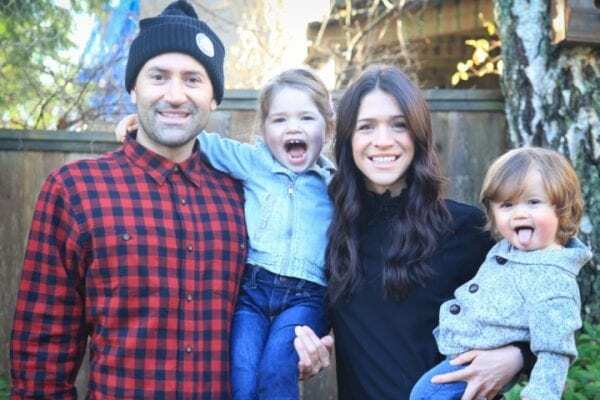 Now in Vancouver, where he teaches kindergarten, Kaid is turning his efforts to a local cause, again inspired by his students: Canuck Place Children’s Hospice. “I chose Canuck Place because as a parent and a kindergarten teacher I’m fortunate enough to be surrounded by enthusiastic, creative, and inspiring kids each day. I know how much energy this can take as well, even on a good day. I can only imagine the toll it would take on a family when a child is sick. Giving back to the community isn’t a new concept in Mr. Ashton’s classroom. Once a week he reads out a story from the international section of the New York Times, sharing stories about the environment, refugees, and how an individual can make a positive, lasting impact on their community as well as the world. Local issues come forward too, from organizing food drives to learning about the Downtown Eastside, and even how everyone can make healthy choices that keeps Vancouver clean and beautiful. In addition to the support from his classroom, friends, and family, Kaid is also auctioning off his artwork to raise additional funds. You can support Canuck Place care through Kaid’s marathon fundraiser here.